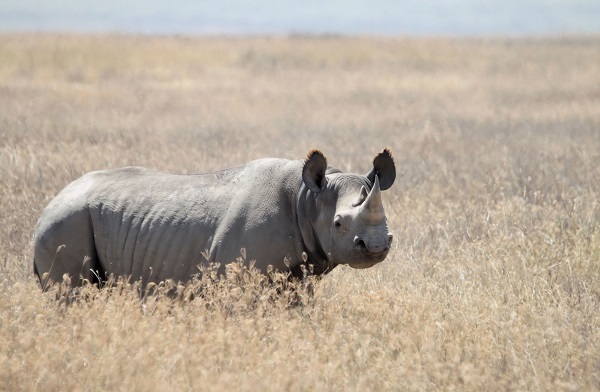 A report from All Africa reveals the extent of disaster from a recent attempt to protect the rare black rhinoceros breed: Nine of 11 rhinos relocated are dead. It’s likely they were killed by the salt water they were given to drink after their move to Tsavo National Park in Kenya. It has been described as the biggest-ever rhino translocation mishap. And experts from South Africa and the United Kingdom were invited to study what caused the problem. “Preliminary investigations point to salt poisoning as the rhinos tried to adapt to saltier water in their new home. The investigations team is being headed by senior officers from the Directorate of Criminal Investigations, Ministry of Tourism and Wildlife, local and international experts. A comprehensive report to be concluded within a week,” explained Najib Balal, Kenya’s tourism and wildlife minister, in the report. Eight animals died almost immediately on their move, and the ninth shortly later. Officials said Kenya’s goal is to have 2,000 black rhinos. And the report pointed out that of the 149 rhino moves in the last decade or so, there have been only eight deaths, until now. “We look forward to the outcome of the investigation and reassurances that we will adopt global best practice in translocating wildlife to learn from this disaster and prevent it from ever happening again,” said Paula Kahumb of Wild Life Direct in the report.